Meredith Baxter is one of TV’s favorite mothers. Meredith appeared on the popular show, “Family Ties”. 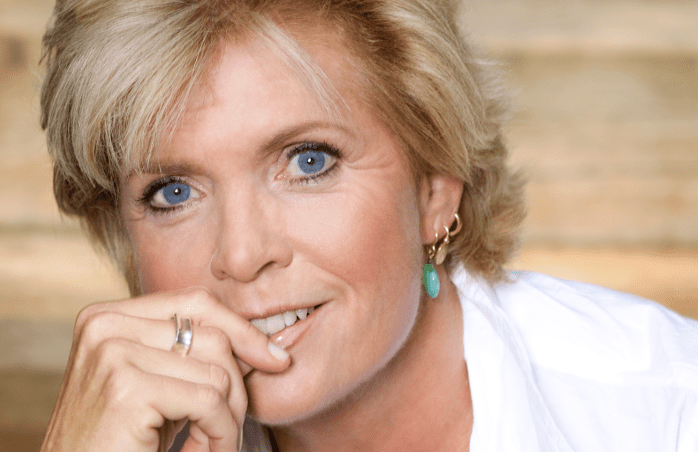 While performing critically acclaimed comedic and dramatic roles in TV and over 50 movies, Meredith Baxter also battled alcoholism, breast cancer, domestic abuse, and other challenges while raising five children. Her upbeat, winning style that earned her the admiration of fans is now a part of her presentation to audiences across the country. A beloved and iconic television star, Meredith Baxter is remembered and appreciated for her perceptive portrayals of intelligent and independent women. In this lighthearted and moving presentation, she recounts her colorful life as an actress as well as her troubled family life and shares how she overcame many obstacles to achieve health, happiness, strength and acceptance. Audiences love her candid and upbeat style during a question and answer session. Like so many alcoholics, Meredith Baxter thought she had her drinking under control. After all, she was juggling young motherhood (five children!) and a successful acting career. But it nearly came crashing down after she flubbed a movie role. Confronted with the possibility of losing her livelihood, she entered recovery for substance abuse. Nineteen years later, she is still sober. With poise and pride, Baxter shares her inspiring success story of overcoming her fears and regaining control of her life. In Meredith Baxter’s most famous role, she was mom to one of the happiest, healthiest families on television. In real life, her family life was far from picture perfect. She married three times, and struggled through various levels of domestic abuse before finally finding freedom and contentment. Meredith speaks honestly about her own journey inward to confront the low self esteem and negative feelings that kept propelling her into bad relationships. She encourages others to find the courage to look inside as well, so they too can break the bad patterns that lead to unhealthy choices and bullying relationships. Meredith discusses how to move beyond the role of victim and to learn to trust those protective instincts that now serve her so well. In film, television, and on stage, Meredith Baxter is noted for her accessible portrayals of intelligent, independent women who struggle with the challenges before them. She has been an actor for over 46 years. She starred in the comedy, Bridget Loves Birney, the ABC drama, Family, the popular NBC sitcom, Family Ties and the seriesThe Faculty. Baxter received four Emmy nominations for A Woman Scorned: The Betty Broderick Story, Family, and the afternoon special, Other Mothers,, and The Young and the Restless. She has made over 60 features and movies for television, co-executive producing several, including My Breast, Betrayed: The Story of Three Women, Darkness Before Dawn,andThe Long Journey Home,as well as her TV series, The Faculty. Ms. Baxter speaks on domestic violence, alcoholism, gay and lesbian issues and overcoming obstacles in her life. 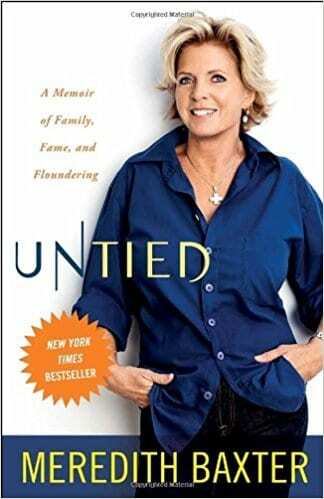 Baxter’s book, New York Time’s best-seller, Untied: A Memoir of Family, Fame and Floundering,came out in March, 2011. “Meredith Baxter was fabulous. She came across as a strong survivor who has confronted her own role without judging those who are still on the road to self discovery. I think when you have a speaker who is speaking her personal story it makes a difference. She was natural, elegant, so well spoken, and her message, to me, was right on point.